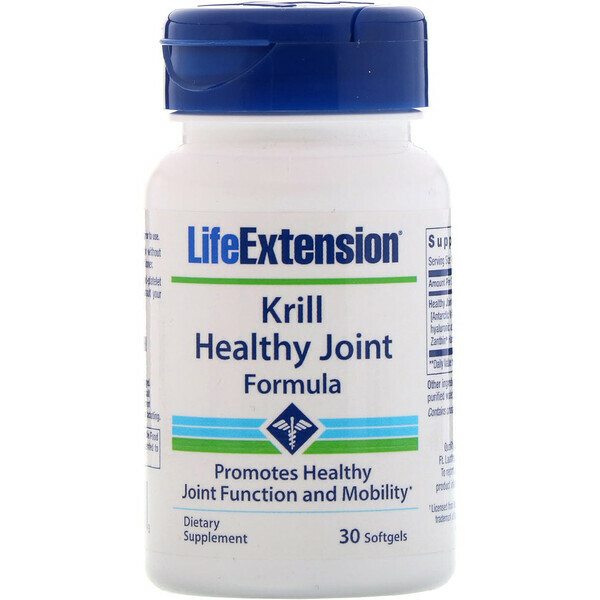 Krill Healthy Joint Formula contains a patent-pending blend of deep-sea whole krill oil sourced in Antarctica, combined with hyaluronic acid and astaxanthin. Research reveals that the fatty acids found in krill oil are particularly effective for joint health. These unique fatty acids have been shown to specifically target joint tissue. Hyaluronic acid occurs naturally in the joints, where it acts to lubricate and cushion against repeated physical impacts. Because it forms a major component of cartilage and soft tissue, it is widely used to promote joint health. The difficulty has been that hyaluronic acid is a large molecule that is not well absorbed by the body. But when combined with phospholipids like those found in krill oil, it has been shown to reach significantly higher levels in the bloodstream than in standalone form, as shown in an animal study. 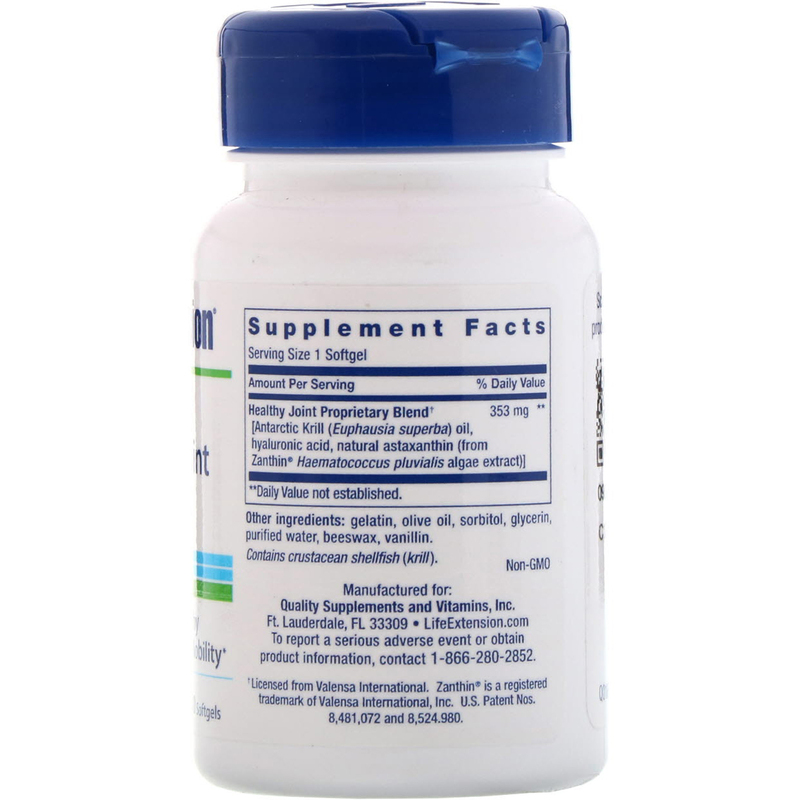 Krill oil is a natural source of the antioxidant carotenoid astaxanthin. Astaxanthin works in multiple ways, including suppression of free radical activity, inhibiting inflammatory factors, and enhanced mitochondrial function. It also maintains krill oil’s molecular stability. Most commercially available krill oils do not contain significant amounts of astaxanthin as it is nearly eliminated during processing. Krill Healthy Joint Formula is fortified with astaxanthin for maximum stability and superior benefit. Принимать по одной (1) мягкой капсуле в день, вне зависимости от приема пищи, или по предписанию врача. Gelatin, olive oil, sorbitol, glycerin, purified water, beeswax, vanillin. Предостережение: Если вы принимаете антикоагулянты или антиагрегантные препараты, либо если у вас имеется нарушение гемостаза, обратитесь к врачу перед приемом данного продукта. При употреблении пищевых добавок лицам, находящимся на лечении из-за заболевания, а также беременным и кормящим женщинам следует проконсультироваться с врачом.